If you received the Alfa Developer Kit that was distributed to SIGNAL 2018 attendees, this Quickstart guide is for you. 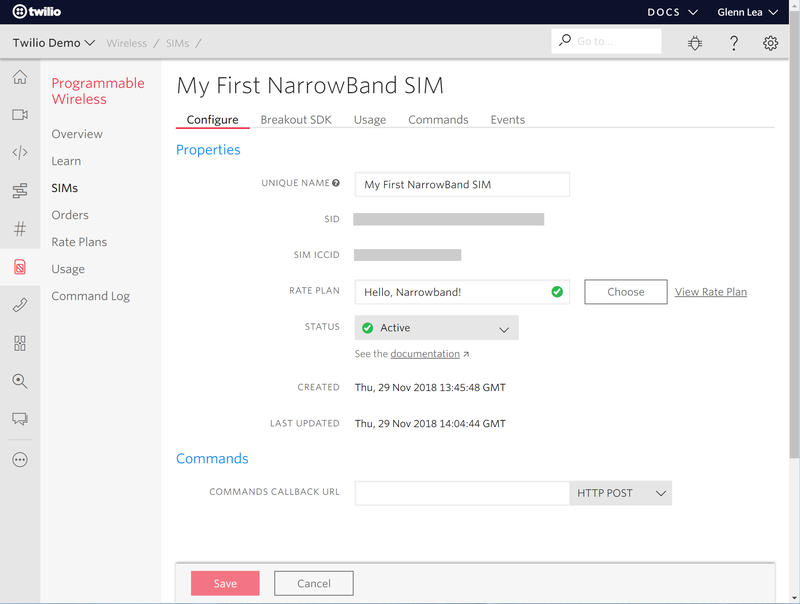 This Quickstart will guide you through registering your Narrowband SIM in the Programmable Wireless Console, setting up your Alfa Developer Kit, and running a Hello, World! application on your Developer Board. Additional details about the development board are available here. I'm got everything ready - let's do this! Follow these steps to create a Narrowband Rate Plan and Activate your SIM on the network. Open the Programmable Wireless Console. 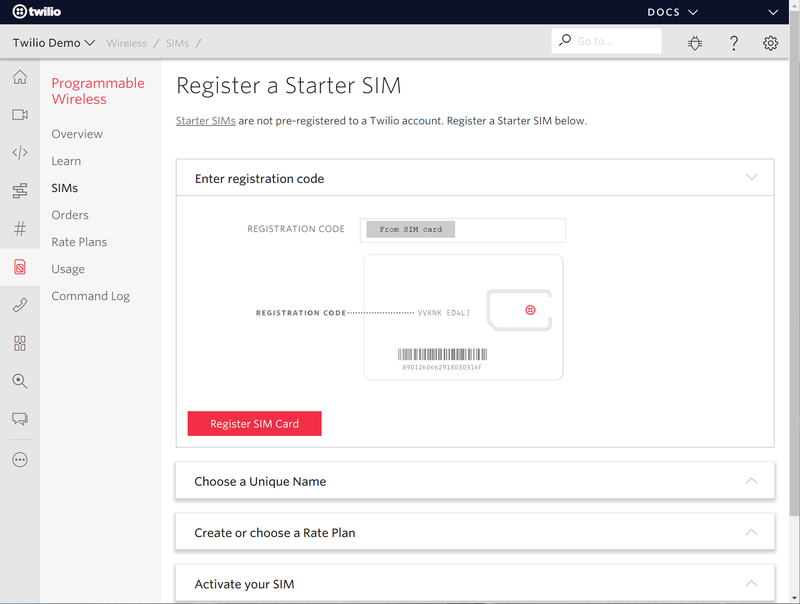 From the Programmable Wireless menu, click SIMs and click the red + button to open the Register a Starter SIM page. Find the SIM registration number on the reverse side of the Narrowband IoT SIM chip card. Enter this number in the Registration Code field. In the Unique Name field, give your SIM a friendly unique name. This is used to identify this SIM in the SIMs section of the Console. 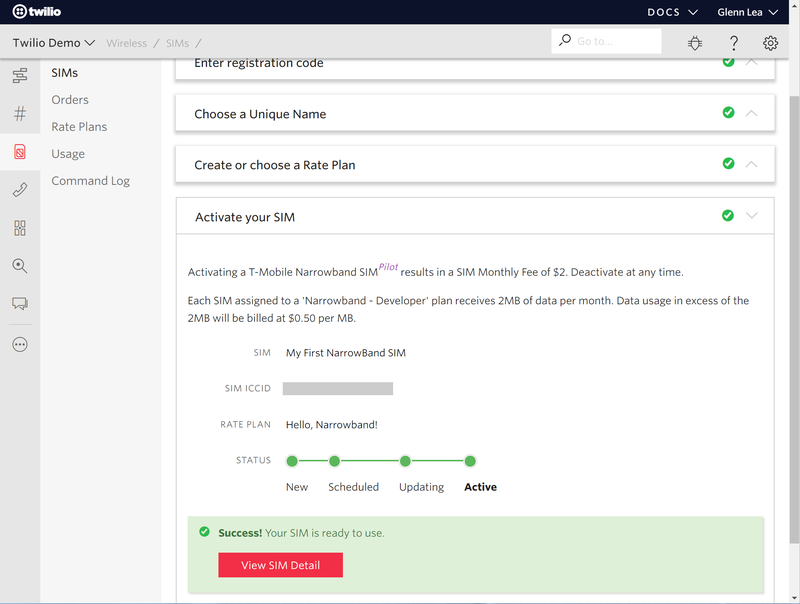 Click the red + button to create a Narrowband Rate Plan. 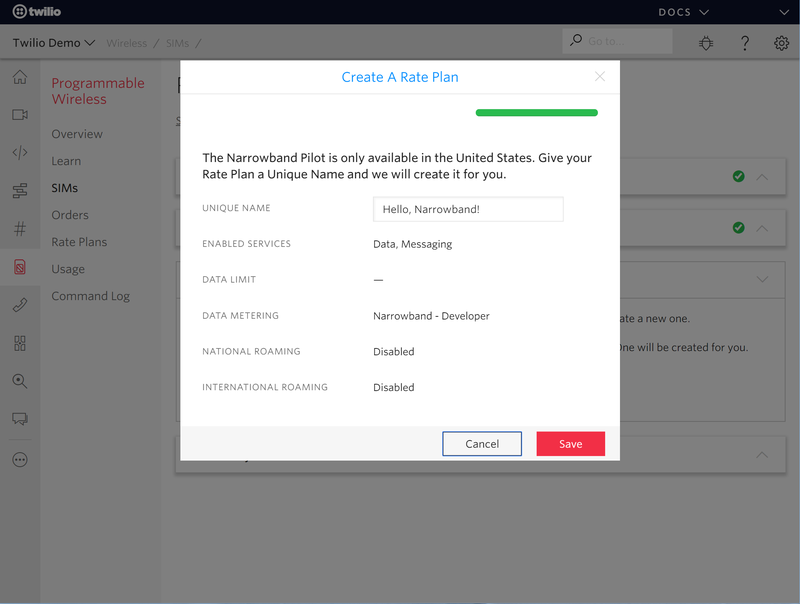 In the dialog that appears, give the Rate Plan a unique name. This will be used in the Console. You can learn more about Rate Plans here. Click the Activate button to activate your SIM on the network. Once your new SIM has been activated, the View SIM Detail button should appear. 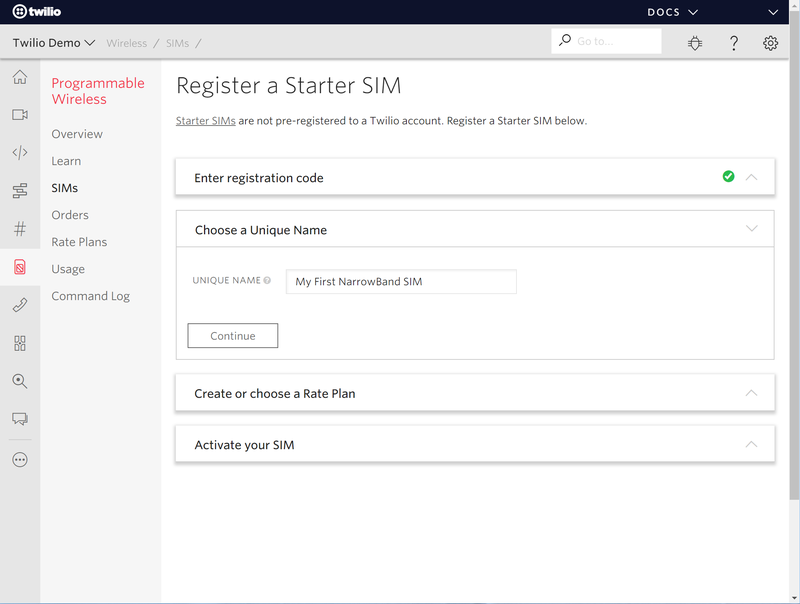 Click it to open the Configure tab for your newly activated SIM. From the Programmable Wireless menu, click SIMS. Select the newly created SIM, in this case, "My First NarrowBand SIM". Click the Configure tab to view the properties of the newly activated SIM. You will find all your registered SIMs in the Sims section of the Console. 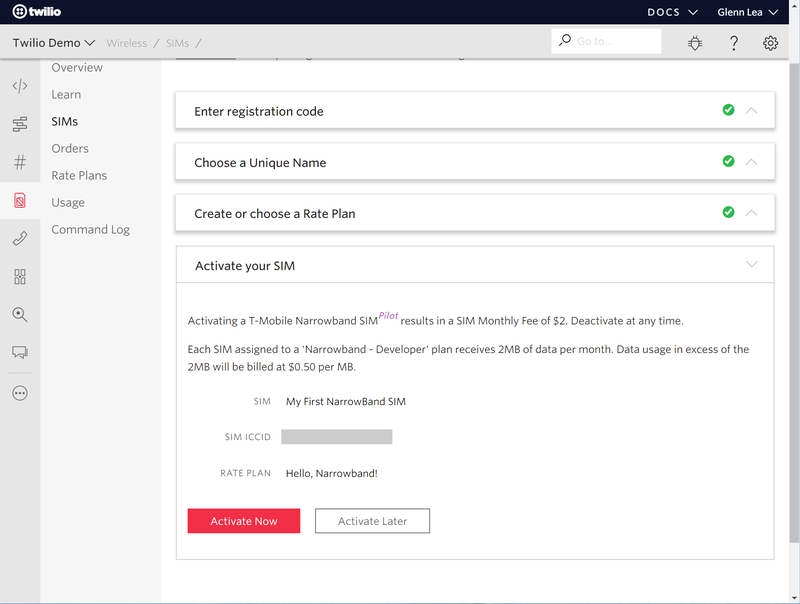 Here you can manage the SIM lifecyle, change the SIM's Rate Plan, see Usage, find your Breakout SDK Pre Shared Key (PSK), and monitor events on the SIM. I've got my SIM registered! What's next? 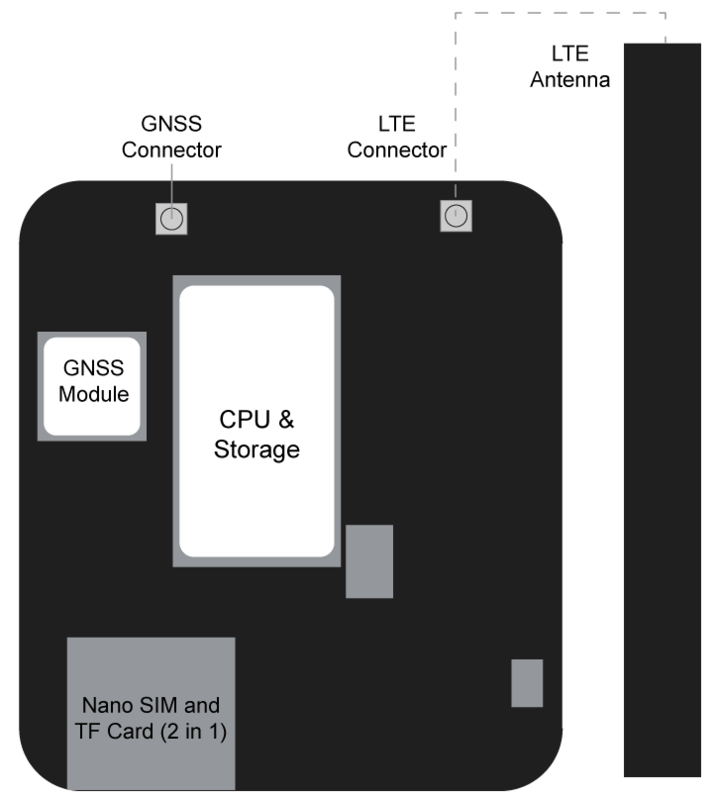 The Alfa Developer Kit comes with two antennas: LTE and GPS. In this case, we will use the LTE antenna. Carefully connect the black rectangular LTE antenna to the pin labeled LTE on the back of the Developer Board. Insert the micro USB cable into the Developer Board. Plug the other end of the USB cable into a USB port on your computer to install the firmware. Insert the JST connector of the lithium battery into the battery port to the right of the micro USB port. 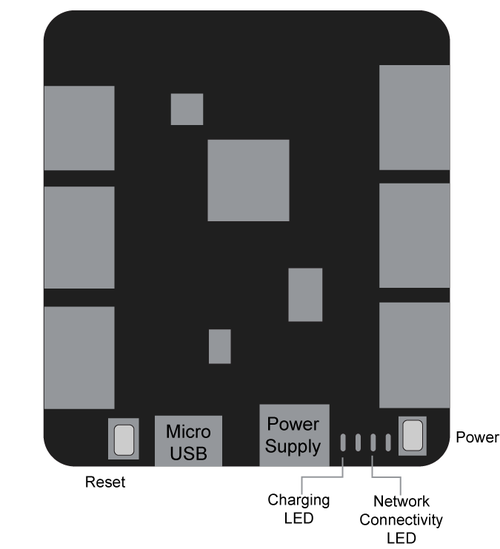 The lithium battery is recommended to be plugged in at all times, especially if your USB power source does not provide sufficient power for the board at peak levels. 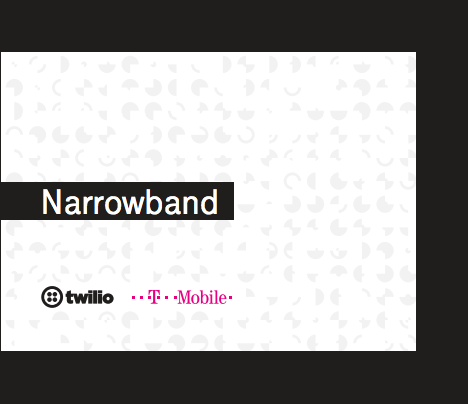 Currently, only the T-Mobile Narrowband network in the United States is supported. Connecting to the network for the first time can take a minute or two. If the LED doesn't turn blue, try another location. You may not have cell coverage in your current location. If you still aren't having any success, let us know via help-wireless@twilio.com. Please reboot your device and try again if your device doesn't attach to the network in approxamtely two minutes. I'm connected! I want to build an app now! There's lots of examples for you to get started with your Narrowband Alfa Developer Kit! Visit Breakout Aduino Libary on Github to download the SDK. Visit Arduino IDE environment setup for Breakout if you need help installing Breakout and flashing firmware. Click on any example to get started! Need help flashing your board with examples? Visit the Flash the Developer Board section of the Breakdown markdown. What should I do next?! Visit the examples in the Breakdown repository. See how to send a Command to the SIM through the Commands API. 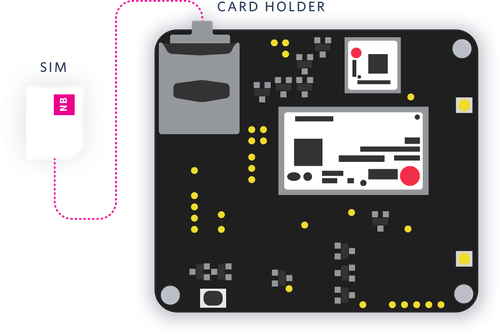 Learn more about Narrowband and Twilio Programmable Wireless.